STAMFORD, CT – HARMAN International Industries, Incorporated (NYSE: HAR), the premier connected technologies company for automotive, consumer and enterprise markets has been named the 2016 ‘Supplier of the Year’ at the Automotive Interior Expo Awards in Stuttgart. "With so much automotive interior innovation in the last 12 months, HARMAN fully deserves to win the Supplier of the Year award,” says Dean Slavnich, head of the Automotive Interior Expo Awards judging panel. “Here's a company pushing boundaries and helping car makers to realise new engineering levels in interior, connectivity and comfort qualities." A 17 strong panel of the world’s leading motoring and design journalists judged the awards, now in their fifth year. 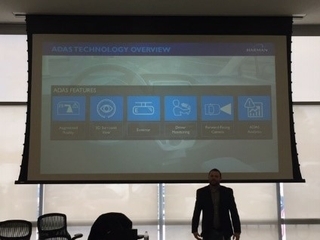 HARMAN’s innovations across both infotainment and audio were highlighted by the experienced panel that cited ground-breaking technologies such as the LIVS connected car platform and Clari-Fi as examples of where it is leading the industry. The judges from the highly acclaimed panel also considered HARMAN’s commercial success with the generation of $2bn of new automotive business in the year to date as well as creating new partnerships with Google and Microsoft to speed up the development of the connected car. "As well as launching high-end audio technology, HARMAN is also developing pioneering HMI for future mobility, in turn supporting the development and analysis of tomorrow's connected car," adds Yumi Kawabata, judge and leading freelance technology journalist in Japan. 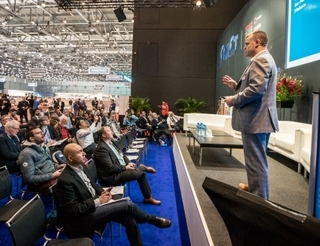 Alongside the innovations, HARMAN’s recent acquisitions including software companies such as RedBend and Symphony Teleca, underline a holistic approach to the connected car that HARMAN is pioneering through advances in new features, HMI and security. "HARMAN is a supplier who understands the automotive industry's future needs and is fully in step with innovations required from the car makers," says Renuka Kirpalani, leading consumer journalist in India. The Supplier of the Year award presented to HARMAN was one of seven categories recognized at the Annual Interior Expo Awards. Previous winners of this award include Faurecia, Johnson Controls, Delphi and Continental.